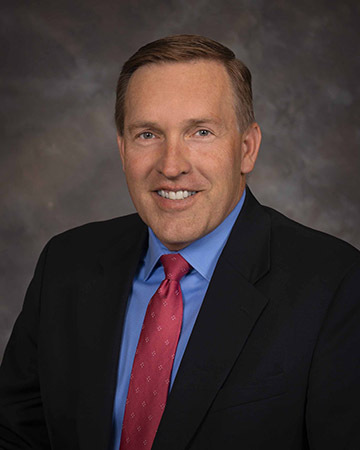 Larry Stevens is the President and Chief Executive Officer of Med One Group. 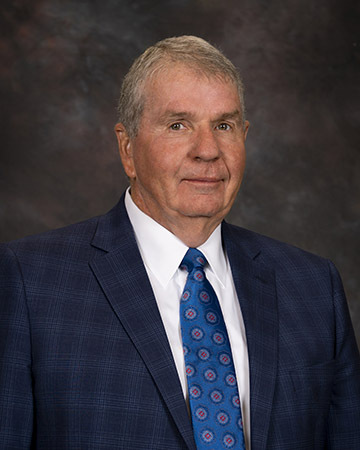 Larry founded Med One Group in 1991, and has over 45 years of experience in the equipment leasing and rental field - including FMA Financial Services (Executive VP, General Manager), Prudential Capital (President), and Medirec (Executive Vice President). Larry believes that the equipment leasing and finance business is the most dynamic and diverse business in the world. He has always enjoyed the challenge of structuring a transaction in a way that would secure the investment for those providing the money, while at the same time accommodating the needs of the customer. Focusing on medical equipment and specifically our customer base of acute care hospitals has allowed Med One Group to become a truly unique company that actually serves the needs of its customers. In June 2012 Larry and his partner Brent Allen were honored as winners of the Ernst and Young "Entrepreneur of the Year" award for Utah in the Healthcare Services Division. 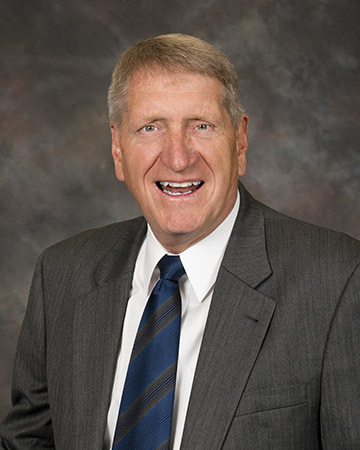 Larry earned a Bachelor's degree in Management at the University of Utah. He has been married to his wife for 43 years, and they have 5 children and 24 grandchildren. When not at Med One, Larry enjoys golfing, caring for his horses, and spending time with his family. With expertise in direct sales and sales management, Brent Allen is Med One Group's Executive Vice President. Brent has been active in the leasing industry for over 37 years - 25 years of which he has focused on the Medical segment specifically dealing with acute care hospitals. Brent has a love for working with people, as well as a desire to help customers acquire equipment through creative financing. He believes there will always be a need for innovative solutions to help customers expand by acquiring capital equipment, and he looks forward to furthering Med One Group's success. In June 2012 Brent and his partner Larry Stevens were honored as winners of the Ernst and Young "Entrepreneur of the Year" award for Utah in the Healthcare Services Division. Brent graduated from the University of Utah with a Bachelor's degree in Finance. Brent and his wife have 5 children and 16 grandchildren. He enjoys golf, four-wheeling, spending time at his cabin, and road trips in "the vette." Jeff Easton joined Med One Group as Chief Financial Officer and Vice President in September 2007. Honesty and integrity have always been extremely important to Jeff and he felt that the financing/accounting field was an area where he could make a difference and be an example. These qualities continue to drive him as he takes part in managing all financial aspects of Med One Group and its related entities, as well as manages banking relationships. Jeff has past accounting experience with Ernst & Young in their Palo Alto, Orange County, and Salt Lake City offices where he worked with clients in all industries and Fortune 500 and 1000 companies. Jeff also has experience with Zions Bancorporation where he implemented Sarbanes-Oxley controls and procedures. 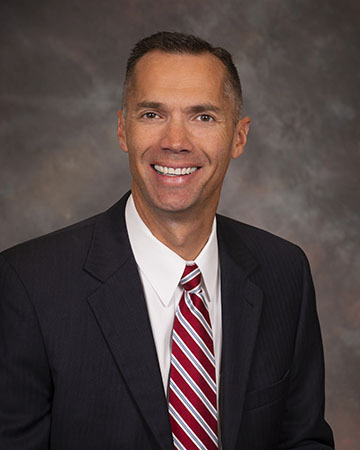 He also has prior experience as Chief Financial Officer for Utah Local Governments Trust. Jeff earned both a Bachelor's of Science and Master's degree in Accounting at Brigham Young University. Jeff is also a Certified Public Accountant. When Jeff is not at Med One, he enjoys spending time with his wife, Camille, and their five children. Troy Tait joined Med One Group in April 1994 and is currently the Senior Vice President of Customer Care. He earned his Bachelor's degree at the University of Utah. Troy decided early on that he wanted a career in the medical field and has been involved in just about every aspect of the field, from treating patients to selling surgical items to administrative services. Within Med One, Troy has experience within several different areas of the company. This has given him a strong understanding of the processes at Med One and benefits him as he works closely with various departments. Troy has been instrumental in creating a strong presence for Med One in the industry. He and his wife, Sheri, are the parents of five children: Chelsey, Lindsey, Conner, TJ, and Kenzie. Troy enjoys playing sports with his family, outdoor activities, music and horses. Mark came to Med One Group in September 2001. Having been exposed to the business industry for most of his life, Mark always wanted to pursue a career in this field. 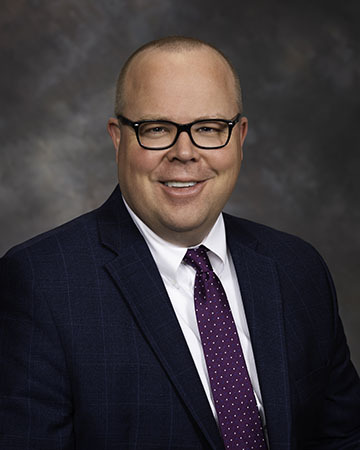 He attended the University of Utah and graduated with a Bachelor's degree in Business Administration and is currently Med One's Vice President of Operations. With this title comes the responsibility of managing Med One's lease portfolio: overseeing accounts receivable and protecting Med One's assets and making sure customers are happy with their experience with Med One. Mark works to maintain regular contact with our customer base to ensure Med One is taken care of and even more importantly, to make sure our customers' needs are met. He enjoys the opportunity of talking with customers all over the country and trying to establish great relationships between Med One and their customer base. Mark and his wife Lindsi have three girls: Kate, Hannah and Gretchen. He enjoys his time with his wife and kids as well as playing many different sports and spending time outdoors. Brad Johnson began working at Med One Group in October 1994. He had previously worked for another leasing company where he handled property and sales tax. 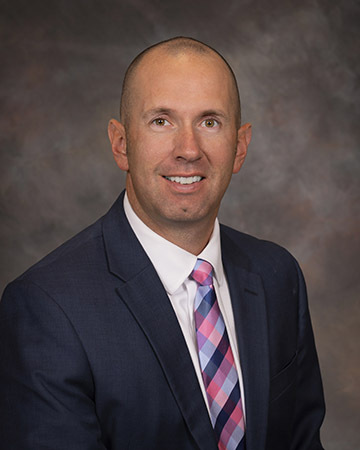 Now as Senior Vice President of Equipment Rental at Med One Group, Brad works closely with various companies and hospitals in the effort of keeping our equipment rented. Our rental company is critical to Med One Group's success as it allows our core business (leasing) to be aggressive with many types of equipment, and it's Brad's responsibility to get the highest utilization from our rental equipment as possible. Brad graduated from the University of Phoenix with a Bachelor's degree in Business / Accounting. He and his wife, Shannon, have two daughters, Taylor and Meagan, and a son, Tanner. Brad enjoys playing golf - whenever the opportunity presents itself - as well as fishing, hunting, and spending time with his family. Robb Stevens began his career at Med One Group in January 2002 as part of a newly expanded leasing sales group. Robb's prior experience was primarily in public relations and marketing in an ad agency setting as well as in-house with specific companies. As a part of Med One's sales group, Robb has consistently been a top contributor to lease originations, vendor development, creating strong and lasting relationships with customers, and successfully blending all aspects of the leasing sales process to maximize returns. 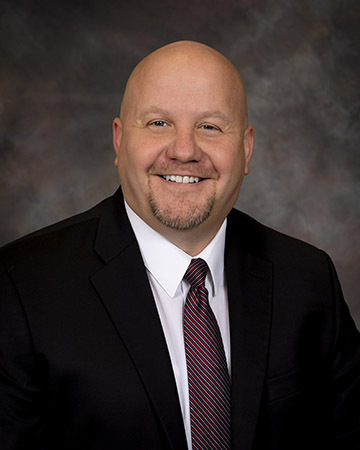 Robb was appointed Assistant Vice President of Leasing Sales in January 2009 and as Senior Vice President and Director of Lease Originations in November 2012. He earned a BS in Mass Communication from the University of Utah. Robb enjoys the thrill of the chase that comes with the sales side of leasing and finds it absolutely exhilarating to wrap up new deals - especially at quarter-end when the pressure is on. It's like having the ball at the end of the game and hitting a three-pointer to win the game or making a long putt to win a major golf tournament. In his spare time, Robb enjoys golf, snow skiing, road biking, and spending time with his wife and 4 children. 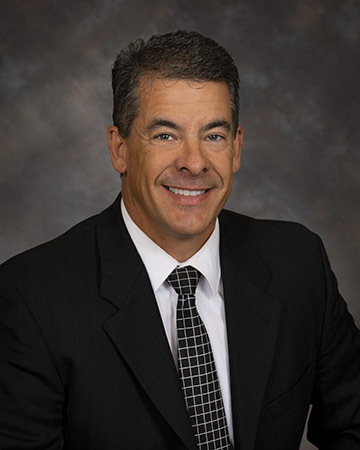 Bryce Ray joined Med One Group as Senior Vice President and Chief Credit Officer in October 2013. 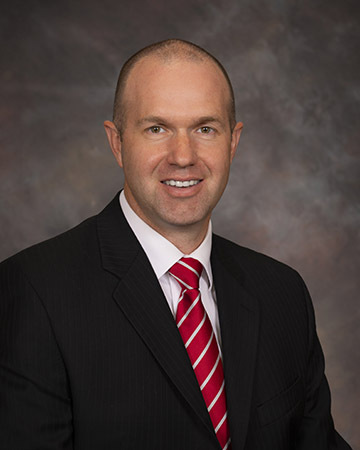 Bryce is a seasoned lender and banker with over 20 years of experience in commercial lending and a strong background in healthcare. Prior to joining Med One, he was Vice President of Credit at Optum Bank (a subsidiary of UnitedHealth Group), Chief Lending Officer at Marlin Business Bank and worked at Citigroup where he served in various positions before being named Vice President, Commercial Credit. Bryce is passionate about understanding the customer's needs, reviewing credit and analyzing financial statements in order to get a transaction approved. Bryce earned his Bachelor's degree in Business at Weber State University and also completed the Citibank Commercial Credit College program. In his spare time, Bryce enjoys traveling, golf, skiing, investing and spending time with his wife and 3 children. 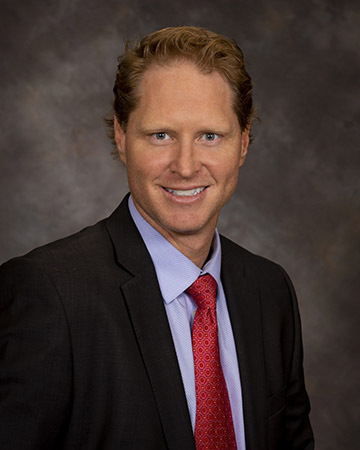 Carter Allen has been in the financial industry for 14 years and has been with Med One Group for the past 11 years. He appreciates the opportunity to provide solutions for hospitals that allow them to gain access to much needed equipment. Carter is also involved in developing new relationships with medical device companies looking to increase their sales by offering creative financial options. Grady Brown joined Med One as the Vice President of Human Resources in August 2017. His career path has included stops in the technology and transportation industries and a four-year stint as a Senior Human Resources Consultant. He loves the field of HR and gains much personal satisfaction from employee development. Grady is proud to be a Med One employee. He continues to be impressed with the caliber of the leadership team, the customer focus and the commitment of each employee to our Pillars of Success: Creativity, Simplicity & Responsiveness. He loves being outdoors and spending time with his family. Doug Green joined Med One in January 2002 as part of the leasing sales team. 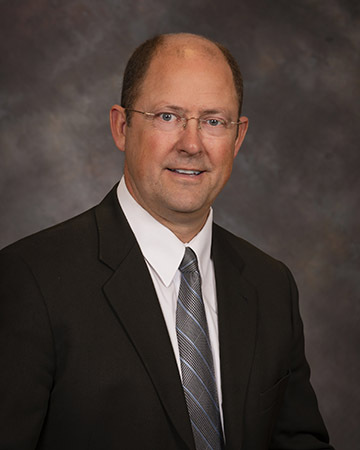 Prior to Med One, Doug worked in sales and business development at Boise Cascade and Franklin Covey. As Senior Vice President - Director of Corporate Development, Doug is active in finding and developing of new vendors for our leasing division, developing opportunities for rental with new and existing customers, organizations, equipment providers and manufacturers. He is also looking for additional opportunities in our equipment sales area as well as exploring new markets and revenue generating capabilities for the company.